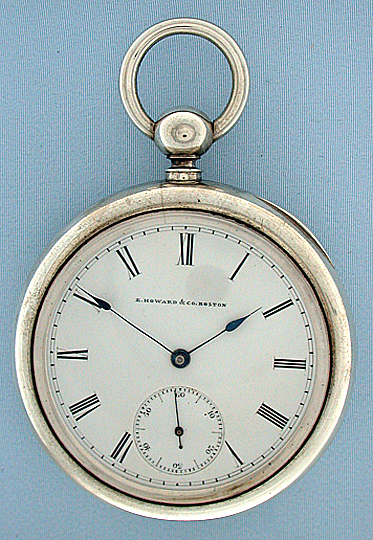 Howard type III silver open face N size antique pocket watch circa 1864. 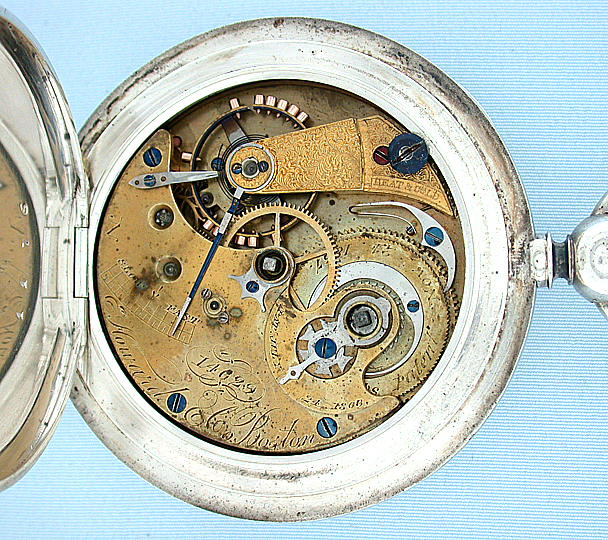 White enamel dial (one hairline) with blued steel hands. Faded gilt 15 jewel movement. Plain polish silver case with "R" hallmark.